Barbados is one of the sporting capitals of the Caribbean, and the ideal spot for an active vacation, or to relax and enjoy a favourite activity either as a participant or spectator! Enjoy a round on this fair but challenging 6,805 yard course. The 18 hole golf course at the Barbados Golf Club features gently rolling hills and wide open fairways with magnificent trees and beautiful lakes. Get some exercise and have loads of fun at Barbados Entertainment Complex with Laser Tag, Adventure Rooms, Virtual Reality Missions, Table Tennis and more! Ideally located a stone’s throw from the Carlisle Bay Marine Park, The Dive Shop Ltd. offers great diving and snorkeling adventures. Explore fascinating wrecks and see beautiful tropical fish. 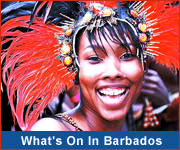 For a list of sports events taking place this year, visit the Barbados Sporting Events Calendar. 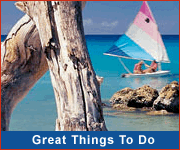 View the Barbados Activities Photo Gallery to see the range of sporting activities available in Barbados. 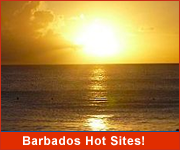 View Barbados sports facilities on the interactive map! See what sports and games form our Barbados traditions.